Cellers Sant Rafel is owned and operated by husband and wife Xavier Peñas and Pilar Just. Xavier returned to the small town where he grew up in Montsant, in 1997. The farm was old and in poor shape; it took Xavier a great deal of effort to revitalize. The Celler Sant Rafel's main estate vineyard, Mas d’en Rafel, is near the village of Pradell de la Teixeta and very close to the Mediterranean coast. Proximity to the sea brings cooling breezes in the evening, while enjoying hot summers. The 70% Grenache (Garnatxa Negra locally) is harvested from this vineyard, blended with 20% Merlot and 10% Cabernet Sauvignon. Joana wines are named after the couples' daughter and represent one of two brands under Celler Sant Rafel. Less than a thousand cases of Joana Selecció were made, extremely low production and a rarity to find exported. 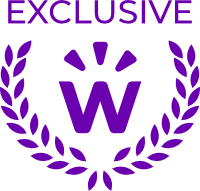 We are excited to share both Joana Selecció and Joana with WineCollective, exclusive to our members. Already with some age, easily enjoyed today or could cellar another year. Chill to 17C. Rich core of purple-ruby and violet edges. Grenache is spicy and ripe, with notes of cherry, currants and anise. The oak aging offers sweeter notes of vanilla and balsamic reduction. The nose and palate are parallel with layers of violet, wet stone, toast and some leather. Four months in oak, a combination of 60% French and 40% American. The tighter grained French oak imparts flavours of vanilla and toast, while American oak can be more coconut or cedar-like. With intense flavours of concentrated Grenache, Merlot softens the bold acidity and spice with plummy notes and the Cab Sauv gives some needed structure and weight. We found an interesting recipe for a Catalonian sauce, Picada, made from nuts, chocolate, toasted bread, parsley and various spices. Catalan recipes contain earthy flavours, pairing perfectly with Grenache.